Once upon a time, a movie called Back to the Future 2 (Universal, 1989) had Michael J. 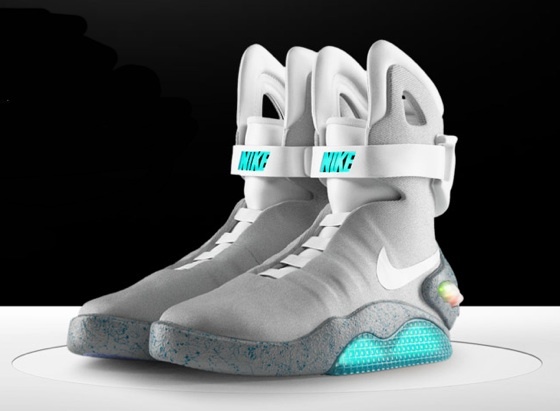 Fox as Marty McFly traveling to the future of October 21, 2015- He rode a hoverboard on his Nikes, drank future Pepsi, and the Cubs won the World Series. 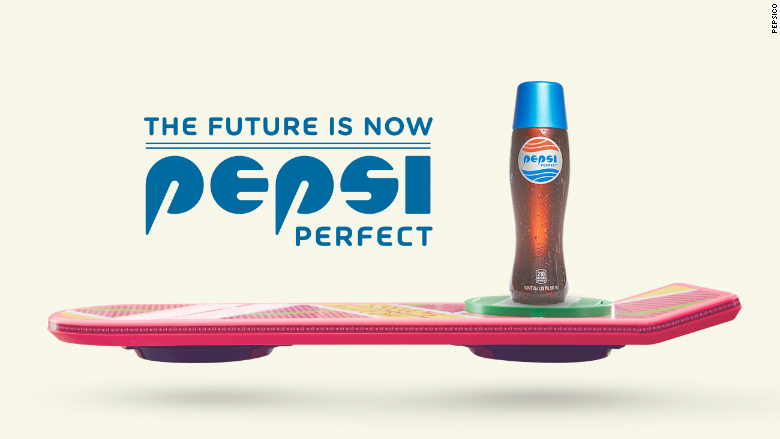 While physicists have not yet cracked the hover board, Pepsi and Nike have done their part. 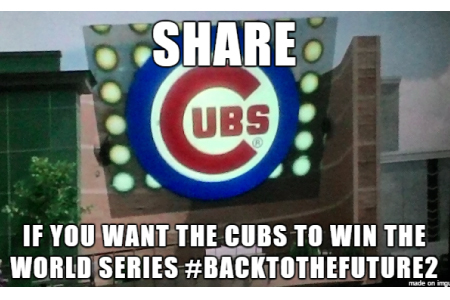 But based on what I saw of the Cubs tonight (down 3-0 in the NL Championship)- we may be looking at 2 out of 4 on those movie predictions. Two years ago, I had the good fortune of hearing theoretical physicist and cosmologist, Lawrence Krauss, explain why the universe was flat at a Renaissance Weekend event in Charleston. He is a prominent scientist, atheist, humanist, and talking head for positivist realism, on par with Neil deGrasse Tyson in popularity and Richard Dawkins in gravitas. On New Year’s Eve, I found myself dining with Dr. Krauss and his partner and I thought to myself, if I had only two questions to ask this man, what would they be? So I asked, “I know matter and energy are in some ways interchangeable, but what is consciousness? Can that be a form of energy?” Somewhat disappointingly, he stood pat with fact that the Randi Education Foundation’s Million Dollar Prize that offers $1M to anyone showing paranormal powers has not been paid to any Uri Gellers of the world. “time” is a paradox and an illusion. Both the future and the past are recognized to be simultaneously present. Now the reason why most scientists, philosophers, and theologians do NOT embrace eternalism is that it runs counter to our experience of a universe of causation and it appears to call into question our notions of free will. Since all possible parallel universes can’t truly exist because of the lack of placeholders for all of the free agents, things simply must occur in a sequence with unambiguous results, not a infinite multitude of multiverses. Yet I often have the sense that the imagined future is trying to create itself through our actions and that the past is constantly changing based on our biases. Just consider the popularity of Columbus Day and you will see what I mean. On consider how the Space Shuttle was named Enterprise and that we are inventing tricorders; it makes you wonder if the future sent the Star Trek writers back in time or whether we are just whimsical sentimentalists. In the end, subjectivity and narration are inseparable from our experience of reality. And the discussion of whether time is actually real is not, in my experience with at least one great thinker, was not a very interesting one. I certainly am no expert in cosmology or theoretical physics. I blogged about the two-slit experiment last week. Oddly, the very next night I bumped into a PhD in theoretical physics from Harvard at a mixer and told him that I thought the quantum entanglement issue was spurious because the light didn’t have to act like a wave or a particle because it could be both. I thought I was clever until he pointed out that Einstein won a Nobel Prize for that and I was just stealing his punch lines. Oops. Nevertheless, when I get goosebumps from a pithy idea, a juicy synchronicity, or a deja vu, I feel as though perhaps time is not so linear. 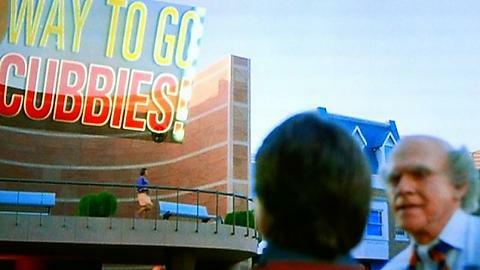 I guess if the Cubs win their next seven baseball games, perhaps someone will humor me and reopen this discussion?